Not every shampoo suits all hair types so oils also must be picked carefully. Different oils have different properties. Before starting hair oiling, we must check the condition of our hair and choose a suitable oil. What do fatty acids have to do with it? Human hair consists of: the part beneath the skin (including hair bulbs) and the part above the skin surface. It is protected by cuticles on the outside. The cuticles have the ability to raise and close. The rule is simple – the more raised the cuticles, the larger the pores in hair structure. Hair with highly raised cuticles is known as high porosity hair, or simply damaged hair. It is a precious piece of information while choosing an oil. Hair with closely bound cuticles is called low porosity hair. It is healthy and well-protected from damage. What does an oil conceal? Every oil contains an array of nutritional ingredients and we must keep them in mind while buying an oil. Natural hair oils are the source of valuable vitamins (vitamin E – “fountain of youth” – is most common), minerals, phospholipids and – most of all – fatty acids. These acids are the most important to hair. They play a key role when we pick a hair oil. Fatty acids can be divided in two groups: saturated and unsaturated. The latter group comprises: monounsaturated and polyunsaturated acids. What is this saturation about? Some oils have larger amount of specific acids, others have less. 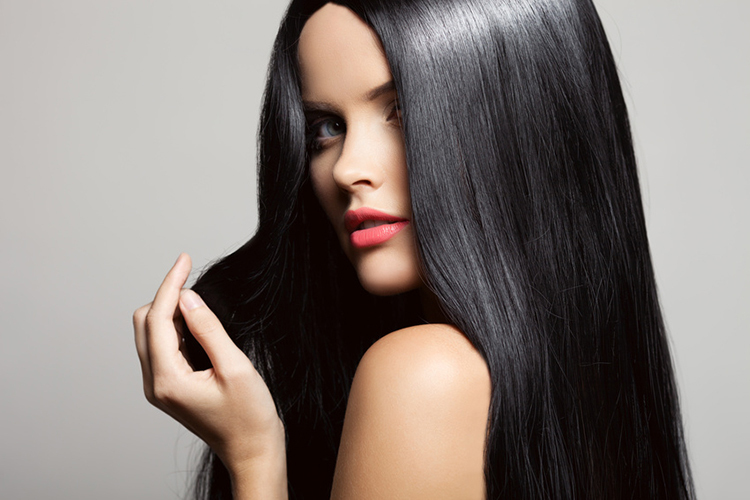 In practice, it determines the size of particles and the ability to be absorbed in hair. Generally, every oil can be applied to hair but not every oil is suitable e.g. for high porosity hair. Therefore, we should look for ways to identify our hair porosity and check the condition of our strands. Then, we will know if a given oil is going to work for our hair. Butters and oils with the largest amount of unsaturated acids are ideal for low porosity hair. Oils with a large amount of polyunsaturated acids are non-penetrating and work for high porosity hair. There are also oils for medium porosity hair – semi-penetrating oils abounding in monounsaturated acids. 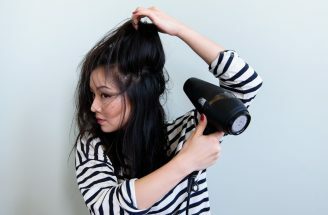 Grab this hair dryer! How to speed up hair oil action? There’s never too much oil. How often should you oil your hair?